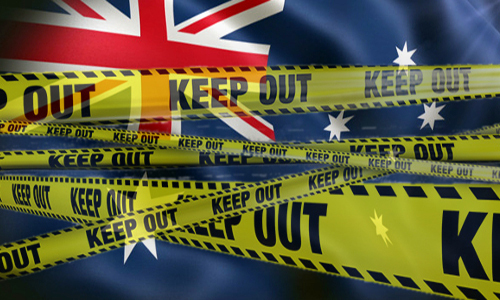 Australia is now a little over a year into its newly restrictive online gambling regime, under which most forms of wagering, including online poker, are now illegal. Among the interesting questions that have been raised is how successful the clampdown has been. Immediately upon the enactment of the enhanced restrictions, the Australian Communications and Media Authority (ACMA) began a multifaceted enforcement effort targeting offshore operators who continued to serve Aussie gamblers. The ACMA has issued a press release and a more detailed report covering the first 12 months of its effort. The top-level answer: Australia, through the ACMA, has been largely successful in forcing many offshore operators to quit the scene. It hasn’t, however, enjoyed across-the-board success; about a dozen operators identified by the ACMA as being in breach of the revised IGA (Interactive Gambling Amendment) are still, it seems, serving the Australian market. One must celebrate a majority decision, even if it’s not unanimous, and that’s what up with the ACMA’s latest. A few days back, the ACMA offered a statement in which it declared that 33 offshore gambling operators have been forced to stop serving Australian gamblers. That number does not include several very prominent international sites who willing departed Oz before the September 2017 implementation, among them 888, PokerStars, bwinparty, and online-slots site Vera&John. The impact of the reforms indicate revenue to illegal offshore gambling websites is falling. Statistics from Global Betting and Gaming Consultants indicate that offshore gambling expenditure will fall by over 50 per cent between 2017 and 2018. Wait, only “over 50 percent”? That seems vague and low, given that investigations and actions of this nature virtually always target the largest and most visible targets first, and also that several large operators left Australia just prior to the IGA enhancements going into effect. “We’ve received valuable support from overseas gambling regulators and third parties such as software providers and payment processors to change behaviour in the offshore gambling market,” said Ms O’Loughlin. “We expect the combination of clearer laws, an active regulator and stronger enforcement measures to continue to disrupt the provision of illegal interactive gambling services to Australians,” added Ms O’Loughlin. The more detailed report explains how the ACMA contacted 15 separate online-gambling jurisdictions around the world shortly after the new restrictions came into force: “We contacted gambling regulators, including from the United Kingdom, the United States; and popular offshore licensing hubs such as Malta, Gibraltar, Isle of Man, Alderney, Kahnawake and Curaçao, to inform them of changes in Australian laws.” The US effort had to do with New Jersey, which issued its own warning a year ago about operators serving the Aussie market. The ACMA applied pressure through several channels, including third-party software providers and payment processors, threatening them with ancillary responsibility should operators using their services not depart the Aussie online market. And yet… all this achieved only a success rate of 68%? One possible explanation is the true shape of the online gambling scene, which remains largely split into two spheres of influence. One encompasses North and South America, Europe, and some other regions, while the other is centered in the very populous Southeast Asia region. 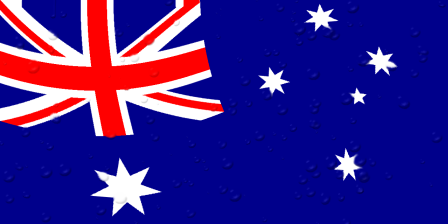 The run-up to the IGA enhancements being put into place specifically mentioned Australia being the target of numerous English-language sports betting sites being operated from nearby Southeast Asian countries. Conversely, the list of online-gambling regulators, though not all are named, comes entirely from the Americas-Europe sphere. It’s not detailed — and perhaps it’s intentionally omitted — but there’s perhaps a significant skew in the success rate the ACMA has achieved, based on the location where the violating sites originates.